Think you’re too old to break into the charity sector? Think again. Published: April 2018. | Last reviewed: April 2018. Job insecurity and unemployment are often considered a youth issue — but with over 21 million people in the UK over the age of 50, older generations are also affected. In fact, many older workers are being “pushed out of the workforce because of poor health, caring responsibilities, or redundancy,” according to Jemma Mouland of the Centre for Ageing Better (quoted in The Daily Mirror). That's a problem particularly as over 50s also "struggle much more than any other age group to get back to work,” according to Mouland. Yet this demographic has plenty to offer, and the charity sector is already making use of older people among its workforce. In 2017, according to NCVO, around 39 percent of those employed in the sector were aged 50 years or older (compared to 29 percent in the private sector). One accountant who was made redundant and then started working with a credit union told me the move had a significant effect on him: he felt his skills were being put to a far worthier cause. A useful exercise to help draw out your experience is to sit down with a blank sheet of paper and draw a mind map (or spider diagram) of what you have done and what experiences and skills you have built up. Put yourself in the middle and create a link to each of your recent roles; then list the key skills you developed there. It can be hard to find support when you’re out of work, but networking and peer support groups can help. 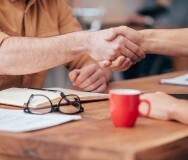 Local business networking groups, such as those run by your local Chamber of Commerce or the Federation of Small Businesses, are a fantastic source of recommendations and connections. A peer support group, where people meet others in similar circumstances, will help you realise you’re not alone. It’s also great for practical help — for example, maybe someone good with words can help others with CVs, someone from a marketing background could help others promote themselves and a finance expert could help with both business and personal finance issues. To find such a community, ask around. Check out groups on LinkedIn, Facebook, Meetup, and even your local authority website. Given the difficulties older people may experience in finding a job, it’s worth exploring the possibility of creating your own work. That doesn’t necessarily mean having to form a limited company: you can also set up as a self-employed sole trader providing specific expertise. 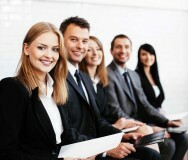 This option allows you to seek out the sort of work that most interests you. And let’s face it — there have been some well-known later life entrepreneurs: Ray Kroc was 52 when he opened the first franchised McDonald’s outlet. John Pemberton was 52 when he created Coca-Cola, and Charles Flint launched IBM at the age of 61. Start by reading the government guidance on setting up a business. If you’re considering establishing a social enterprise, you can find valuable help from Social Enterprise UK or from the School for Social Entrepreneurs. Keith Grinsted is the founder of Olderpreneur, a social impact business that helps those aged over 50 to refocus their careers and/or establish new businesses. He has personal experience of being made redundant and successfully shifting his career. He also runs the Charity UK group on LinkedIn, which has almost 40,000 members.